The charitable remainder trust is an effective way to make a gift to the Chabad Jewish Center of S. Clemente while retaining the income benefits. Charitable remainder trusts are individually managed and may be tailored to your specific needs. There are two forms of charitable remainder trusts: the charitable remainder annuity trust and the charitable remainder unitrust. When you make a gift of cash or appreciated securities to Chabad Jewish Center of S. Clemente, you (or you and another beneficiary, such as a spouse) can choose to receive the income for life. You can also choose whether you want your annual income payments to be a fixed dollar amount, based on the value of your gift at the time you establish the trust (annuity trust), or whether you want your annual income payments to take the form of an annual percentage of the trust's principal, computed from year to year (unitrust). Both trusts require by law, that the percentage payment to you be no less than a specified percent (5% of the initial fair market value in the case of an annuity trust; and 5% of the trust property, valued annually, in the case of a unitrust). When you establish the charitable remainder trust with Chabad Jewish Center of S, Clemente, you receive an immediate tax deduction. 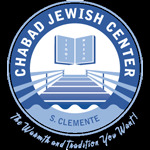 The allowable amount of the tax deduction is calculated by federal tables and various other factors such as; the age(s) of the income beneficiarie(s), the rate of return of the lifetime income payments and value of the remainder interest the Chabad Jewish Center of S. Clemente will receive. Your individual income tax circumstances will determine whether in some limited situations the alternative minimum tax is applicable. After the term of the trust, the remainder assets are transferred to the Chabad Jewish Center of S. Clemente as a permanent gift. The Center will thereby be reminded of your commitment to our mission in perpetuity.